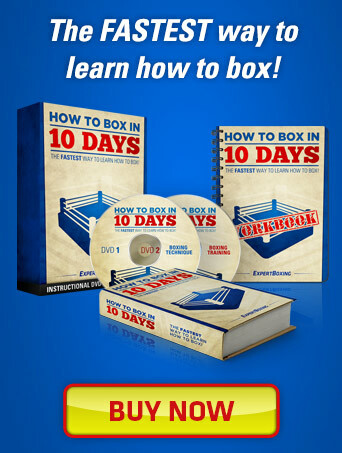 If you’re looking to improve your boxing combinations to widen your arsenal, then you can start here. Many of the following combinations are simple but are also the most effective because they flow fluidly and are set up well. 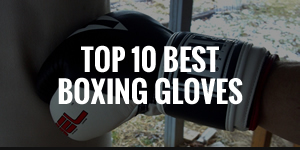 Shadowboxing is a great and convenient way to practice your punch combinations, but it’s even better if you have a partner that can properly hold pads/mitts for you. 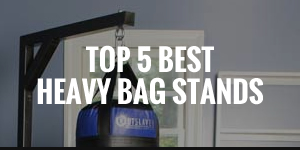 You can also work your power punching combinations on the heavy bag. 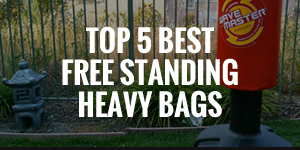 Heavy bags allow you to work on your punch combinations. Check out 10 of the best rated. 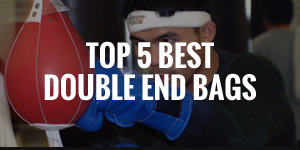 The most basic combination in boxing also happens to be the best. The simple 1-2 can be used when you’re on the outside when your opponent is coming forward, and also while “standing in the pocket” (within range). 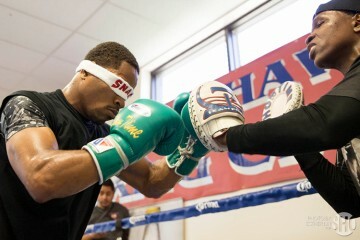 The jab is the main weapon because it’s used to set up the cross in many ways. 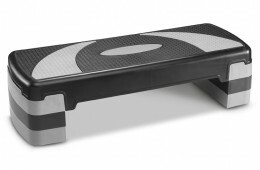 It’s used as a range finder, distraction and to blind your opponent. 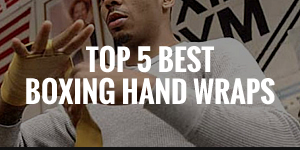 You can also double jab (while moving forward / step jab) and then throw the cross if you need to get closer. The main punch in this combination is the lead hook because it often catches people off guard. Make sure that you’re within range to land the hook. 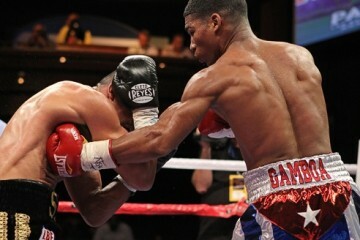 The jab is the setup, while the cross is thrown without much power but rather as a distraction. Make sure your head is not in the middle, but leaned slightly to outside your lead foot to avoid any incoming punches and to get into position. What you’ll find is that after the cross is thrown, your opponent may drop his guard either to throw a counter or simply because he thinks you won’t follow up. There’ll be a very slightly pause just before you throw the hook for your opponent to lower his guard, then explode with the lead hook. The jab must be thrown quickly without much power. Bend your knees slightly, lean over and step-in with the jab, while aiming for the solar plexus area (just above the belly button). 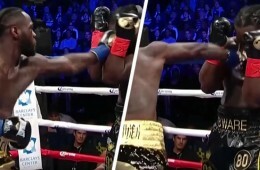 Again, the jab is used as a distraction to bring your opponent’s eyes downwards so he doesn’t expect the cross upstairs. Throw the jab and first cross with speed. After the cross, you should be leaning slightly to the outside of your lead foot, so you’ll be in position to throw the lead uppercut which should be short, quick and powerful. Your body should then be rotated to a position (clockwise if you’re an orthodox) where your cross comes from above and from the back, where you can drive it through the target. The best time to throw this combination is when your opponent has shelled up in high guard stance, allowing you to throw this 4 punch combination. If you notice that your opponent has a high guard stance that only covers the front of his face, then this is the ideal time to use this combination. The jab is the setup once again and when you throw the rear hook, whip it in (think speed and accuracy) and aim for your opponent’s ear which will be open to sneak the shot in. This is great if your opponent is a straight forward fighter who adopts a high guard. 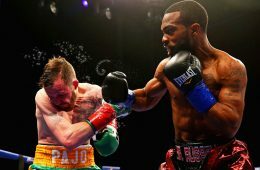 The jab will help you line up your shot and make him pause, and then you can shoot the rear uppercut down the middle and follow up with the lead uppercut. Essentially, you’ll be in position to throw the cross after as well. Make sure that you’re within range not only to throw the cross to the body, but in order to follow up with the hook as well. As you’re throwing the cross (quick and don’t fall short / fall in), take a small step forward with your lead foot. Your opponent will bring his eyes down and may drop his guard, which will allow you to come upstairs with the lead hook. This is one of the best combinations when you’re fighting close range / on the inside. Both hooks can be thrown with power. Throw the lead hook to the body first, aiming at the liver area. This will often cause your opponent to drop his arm slightly so that his elbow covers that side of his body. 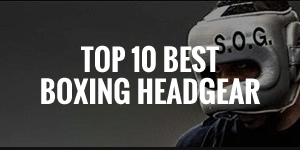 Immediately throw the lead hook to the head after (if he doesn’t go down from the body shot first). If it goes to plan, then your opponent will not expect it nor see it coming. 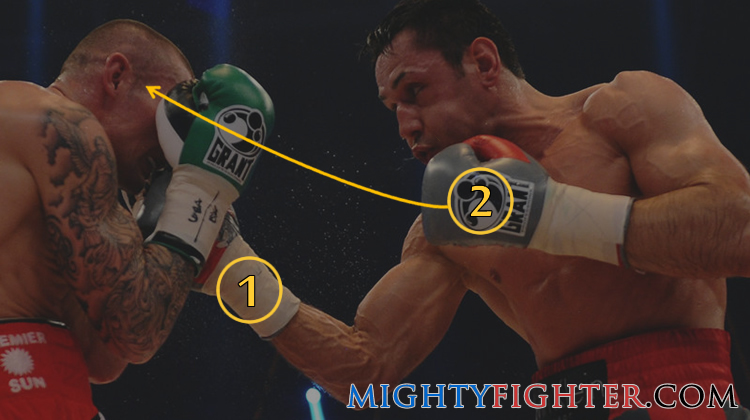 Alternatively, instead of throwing a lead hook upstairs, you can throw a lead uppercut through the middle which is usually not as powerful, but more likely to hit the target if your opponent doesn’t drop his guard. Although this is basically the same combination as no.8 but in reverse, there are a few subtle differences. You’re throwing the lead hook to the head as a setup, so it’s literally just a tap shot which will cause your opponent to bring up his guard, exposing his body. Immediately dig the lead hook to his liver area and once again, he shouldn’t expect it because he’s going to think that it’s either a single shot or the follow up would be upstairs, therefore it would hurt a lot more. The perfect time to throw this combination is when your opponent is close up and has his head low (around your chest area). You should not be squared up, but instead facing slightly sideways in position to throw the rear uppercut from the back. Once you throw the rear uppercut, it will knock your opponent’s head upwards allowing you to quickly throw a short lead hook. 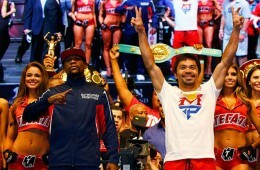 Both punches should be thrown in succession very short and quick in order to land them both. Don’t Throw the Same Punch to the Same Area: For example, a lead hook to the head followed by another lead hook to the head, or two crosses consecutively. 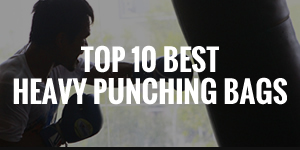 Naturally, they don’t flow fluidly which can often takes longer for the punches to hit the target, leaving you exposed. 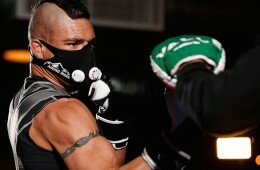 However, some fighters who are more athletic can get away with this. In any case, you can try them at your own risk. 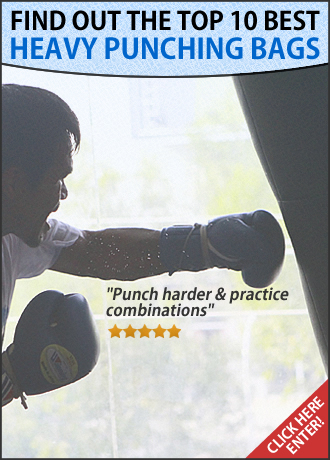 Don’t Waste Punches: Your combinations, especially as a beginner, should mainly be in two’s and three’s. Anymore than that means that you’re leaving yourself exposed for longer and you may be wasting punches. Every punch should have a meaning behind it and throwing 5-6 punches in a row would mean that one or two of those punches may serve no purpose. Don’t Always Throw the Same Combination: You may have a favorite combination that you like use, but it’s not wise to throw it time after time. 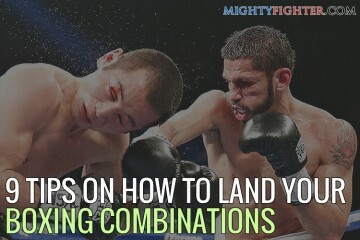 Mix it up with other combinations otherwise your opponent could figure you out and start to time your favorite combination. 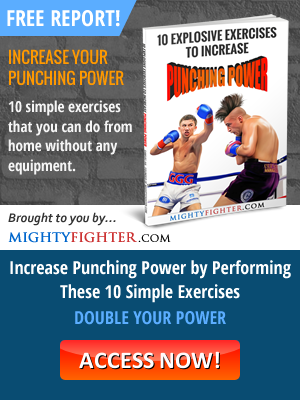 Move Your Head: After every power punch, your head shouldn’t be in the exact same position (watch out for those sneaky counterpunchers!). Exceptions can be made when you’re on the inside where combinations are short and quick, and your free hand must be up at all times. Learn Positioning: It’s crucial to get your combinations flowing fluidly and effortlessly as possible. 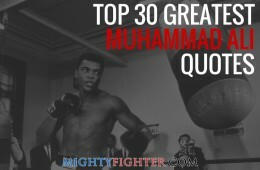 In order to do so, you must know the correct positions to be in after every punch is thrown. 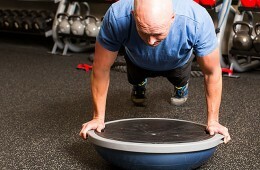 In a combination, your lower/upper body should always be pivoting and rotating into position for the next punch. To become a complete fighter, you must practice an array of combinations. Your punch selection should be vast so that they can be implemented in any given situation, whether you’re long range, mid-range or close range.